These 15 inch hand wrapped, jumbo steel wool pads can be used for a variety of floor maintenance jobs depending on what grade you choose. Ranging from a finest (300-600 grit) to extra-course (30-40 grit) grade you can clean/buff to remove finishes and everything in between! Take a look at the comparison chart below to find what grade works best for you. The hand wrapping of these pads create the fluffy texture that does not scratch your floor and has a high absorbency. When your pad is full of dirt and debris, all you have to do is shake them out. They're that easy to clean! If you are looking for a more aggressive steel wool pad, we recommend you look at our Texsteel wool floor pads. If you are looking for a different size or style, please check out our full line of steel wool pads. #0000 (Finest) 300 - 600 grit For buffing and cleaning. Buffs wood, shellac, lacquer, and varnish with wax or oil. #000 (Extra-Fine) 280 - 320 grit For buffing, polishing, and removing. Buffs new wax finishes and polishes stainless steel. Removes paint drips and splatters, as well as minor burns from wood and leather. #00 (Fine) 150 - 220 grit For buffing, cleaning, cutting, and removing. Buffs final finish on painted trim. Removes old finishes with finish remover. #0 (Medium-Fine) 100 - 150 grit For cleaning and removing. Good for use on marble floors. Removes rust from metal surfaces. #1 (Medium) 80 - 120 grit For cleaning and preparing. Good for use on granite flooring. Cleans linoleum, rubber asphalt, and other resilient floors. Prepares wood for the first coat of paint and smooths raised grain. #2 (Medium-Coarse) 60 - 80 grit For cleaning and removing. Good for use on VCT floors. Cleans glass or stone surfaces. Removes scuff marks and old wax from floors. #3 (Coarse) 40 - 60 grit For removing. Removes old paint and varnish. #4 (Extra-Coarse) 30 - 40 grit For removing. Removes the toughest rust, dirt, old paint and varnish. Not recommended for high gloss surfaces or delicate finishes. Customers who were interested in the 15" Jumbo Steel Wool Floor Pads - Case of 12 were also interested in the following items. 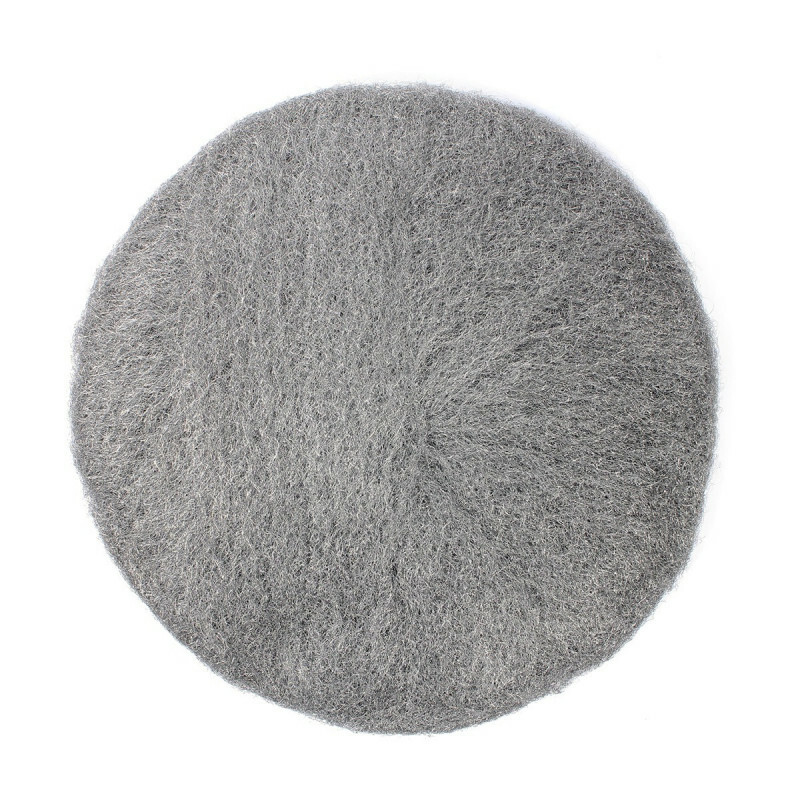 This is a review for the 15" Jumbo Steel Wool Floor Pads - Case of 12.